Join us for an exciting supper with Chef Tim Davies from the Willow on Wascana. 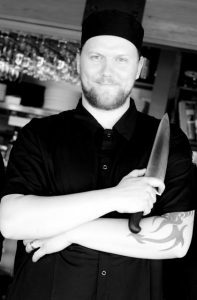 Chef Tim Davies has been the executive chef at the Willow On Wascana for 5 years. He has travelled the world honing his skills in the culinary arts. When not working at the willow he also teaches up and coming chefs at the Regina Trades and skills culinary center. Chef Tim Davies hails from Vancouver Island and is bringing some west coast flavour to the orchard.